Aside from sweating, the underarm area rarely gives people any problem, and we often forget about it. Unluckily, the underarm area is very sensitive and even susceptible to many problems such as infection, pigmentation, rashes, ingrown hair, and pimples. Nonetheless, one of the most common complaints we have to face is discoloration. If you want to get rid of dark underarms, you should spend time reading this interesting article. In this article, Healthy Guide will show you some of the best tips that can help you know how to lighten your dark underarms naturally at home. 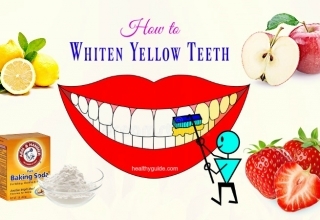 So, if you are concerned about these darkened areas and want to whiten them using natural ingredients, you should keep both of your eyes on this article. I. What Causes Dark Underarms? Dark underarms are mainly resulted from the overuse of harsh chemicals such as hair removing creams, bleach, antiperspirants, deodorants, etc. Also, long-term shaving can cause skin pigmentation in the armpits. 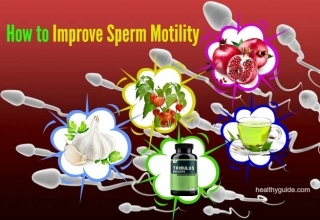 Plus, pregnancy also causes pigmentation, but it can clear up in several months. Other possible reasons could be diabetes, increased insulin levels, erythrasma and ingrown hair because off too much shaving. Gene: You are at higher risk of having dark patches on the skin if your family members have this condition. Hair removal: It is found that irritation caused by repeated plucking or shaving can stimulate excess melanocyte production. Obesity: Having extra weight makes the body more resistant to the insulin’s effects. High levels of insulin in the blood can result in increased production of pigmentation. Type 2 diabetes: People who suffer from type 2 diabetes are more likely to have darkened underarms. Hormone syndromes: Some conditions disrupting the levels of insulin can cause dark underarms. They include Cushing syndrome, polycystic ovary syndrome, hypothyroidism and acromegaly, etc. Medication: Some certain medications can increase the insulin levels and cause the darkening in the underarms. They include insulin, corticosteroids, human growth hormone, high-dose niacin, birth control pills, etc. Cancer: When cancer happens, it often affects the liver, stomach, or colon. These tumors will lead to increased levels of growth factors, hence stimulating skin pigment cells. List of 23 Tips How To Get Smooth Skin On Body And On Face Fast & Naturally will show you some of the best tips that can help you get smooth skin on face and body naturally, so check it out! Here are a lot of home remedies for dark underarms. 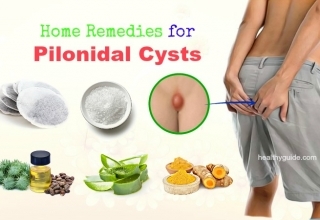 These remedies are safe without causing any unwanted side effects. 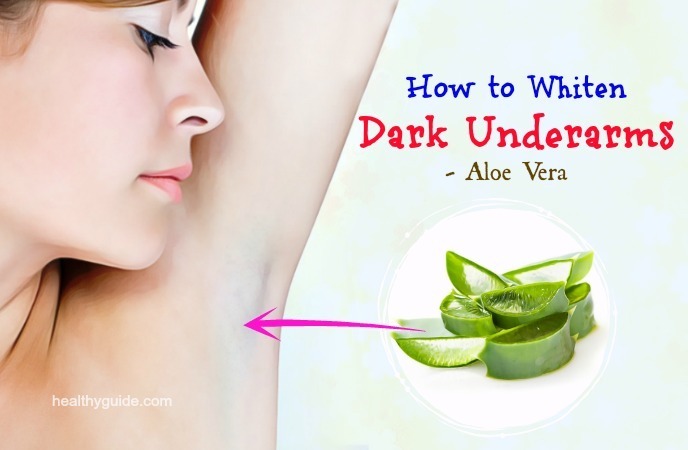 Now, discover how to get rid of dark underarm areas using natural ingredients. 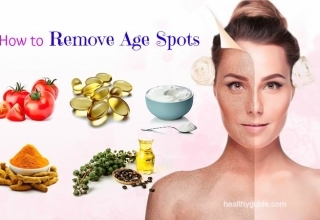 Note: If you have sensitive skin, you can mix 1 tsp. each of apple cider vinegar, water and baking soda. Olive oil contains hydrating and nourishing properties. Also, according to a study , olive oil is rich in powerful antioxidants. Meanwhile, the brown sugar works as a scrub that helps remove the dead skin cells from your underarm areas. Mix 2 tbsp. of extra virgin olive oil with 2-3 tbsp. of brown sugar. Then, dampen your underarm areas and apply this mixture. Scrub for 1-2 minutes and wait for about 5 minutes. Repeat this remedy twice a week for your desired results. When you are looking for how to whiten dark underarms naturally, you should not miss castor oil. This is because castor oil absorbs all of the impurities buildup on your skin and it also helps clean out your skin pores. When you remove all the excess oil, dirt and dead skin cells, you will have the lighter skin in your underarm areas. Plus, it is also a great skin conditioner. Then, gently scrub for about five minutes. Repeat this remedy on a daily basis to lighten underarms. Read on 9 Uses Of Castor Oil For Boils In Men And Women to discover some of the best uses of castor oil for boils that both men and women should try applying at home. Almonds contain phytochemicals, which help lighten the dark underarm areas. Besides, almonds also contain natural bleaching properties. Plus, the vitamin E found in almond oil can keep your underarm areas rejuvenated. Simply, massage your underarm areas with several drops of almond oil for 5-10 minutes. Repeat this process on a daily basis. Rub 2 cucumber slices on your dark underarms for 1-2 minutes. Then, leave the cucumber juice on your skin for another 10 minutes. Fuller’s earth can be used to absorb impurities from the skin and open up all clogged pores. Also, it aids to remove the dead skin cells, hence lightening your dark underarms. Therefore, if you want to know how to whiten dark underarms in a month, you can consider using fuller’s earth. Add enough water and 1 tsp. of lemon juice to 2 tbsp. of Fuller’s earth powder to create a smooth paste. Leave it on for 10 minutes before rinsing it off with water. Note: This remedy is not ideal for those with sensitive skin. When it comes to learning how to whiten dark underarms fast, you can consider using lemon juice thanks to its skin-whitening properties. 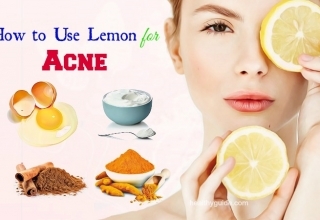 Lemon juice is rich in citric acid, which works as a natural exfoliant. Then, scrub your underarm areas with these lemon slices for 2-3 minutes. Tea tree oil helps lighten your underarms and keeps these areas odor-free. This is because the antioxidants found in tea tree oil can keep your skin healthy. Besides, its antimicrobial properties can kill off the microbes. Add 4-5 drops of tea tree oil and then shake it well. Then, spray this mixture on your underarm areas and wait until it dries out. Use this process daily for the best results. Note: In some cases, using undiluted tea tree oil can cause reactions. So, you should do a patch test before using it. 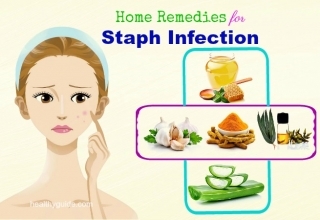 Mix them well before applying it on your underarms. Leave it on for 10-12 minutes before rinsing it off. Note: Do not use this natural treatment if you are allergic to milk products. Mix turmeric with enough lemon juice to create a paste. Cut open the aloe vera leaf and extract its gel. Repeat this remedy every alternate day. Note: If you have aloe plant available at home, use organic aloe vera gel instead. 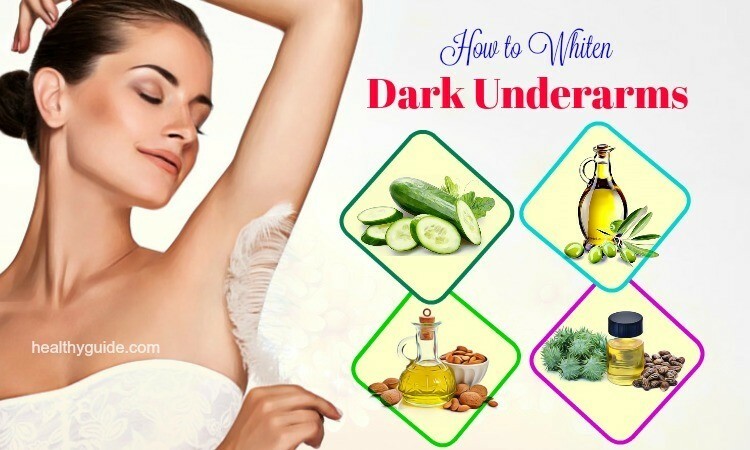 If you want to know other effective ways on how to whiten dark underarms in a week, you should continue to read the rest of this interesting article and then try to apply any of the following natural remedies at home for good. This is another great way on how to whiten dark underarms naturally that you may not know. This natural stone can be used as an exfoliant. 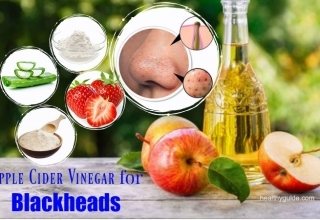 It helps remove the dark layer of the skin, leaving a lighter skin layer. Then, gently scrub it on your underarms for several minutes before you take a shower. Repeat this process twice or thrice per week. Note: You should scrub your armpits in a gentle manner to avoid causing further abrasions. According to a study about the benefits of rosewater , it offers many skin benefits such as skin soothing, brightening, moisturizing, stimulating blood circulation and balancing the skin’s pH. And, in this remedy, baking soda works as an exfoliant. Then, apply this paste on your underarms. Leave it on for 5-7 minutes before rinsing it off with cool water. Gently massage these areas for 1-2 minutes. Leave it on for 15-20 minutes before rinsing it off with warm water. Repeat this remedy twice per day. Finally, take a shower as usual. Note: This remedy is not good for all people. So, you should do a patch test before applying it. 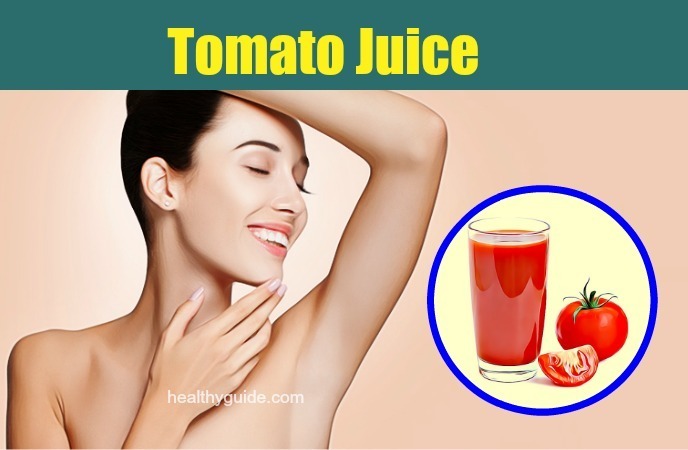 Raw tomato is effective in whitening your underarm areas. 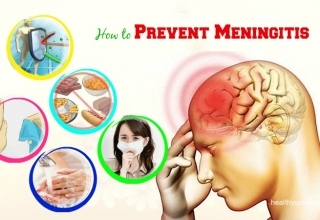 Also, it helps reduce sweating causing darkening in these areas. This is because tomato juice contains bleaching properties that help reduce discoloration. Simply, rub a raw tomato slice in your underarms on a daily basis. Another great way on how to whiten dark underarms in a week that you do not look down, yet try to apply is to use vitamin E oil. Dry skin results in pigmentation and vitamin E oil can be used to moisturize your dry skin. Simply, you just need to massage vitamin E oil for 20 minutes. Repeat this remedy on a daily basis for the best results. Potato is a great solution for dark armpits because it contains skin-lightening and anti-irritant properties. So, it will also relieve patchiness and itchiness caused by pigmentation. Firstly, peel a small potato and then grate it. Squeeze out the juice and apply it directly on your darkened armpits. Finally, rinse it off after about 10-15 minutes. Repeat this remedy twice a day or until you achieve your desired results. This scrub can gently exfoliate your underarm areas and remove the dead skin, hence revealing younger and brighter skin. Mix 1 tbsp. of water with 2 tbsp. of baking soda to create a thick paste. Then, apply this paste on your armpits and massage them in circular motions for 5 minutes. Repeat this remedy 2-3 times a week. Baking soda exfoliates and lightens the skin while coconut oil keeps it moisturized and nourished. This scrub is good for those with dry skin. Mix 2 tbsp. of baking soda and 1 tbsp. of coconut oil to create a thick paste. Gently massage them in circular motions for several minutes. The combination of lemon and baking soda can bleach the darkened armpits. Mix ¼ cup of baking soda, 1/8 cup of hydrogen peroxide and the juice from ½ lemon to create a smooth mixture. According to a research , lemon juice contains skin-lightening properties. Also, it contains high content of vitamin C, which helps in keeping the skin young and healthy. Mix 2 tsp. of baking soda with the juice from 1/2 lemon to create a smooth paste. Gently massage in circular motions for several minutes. Leave it on for 10 minutes before rinsing it off with warm water. Cornstarch helps relieve irritation and inflammation while the baking soda lightens your underarm areas. 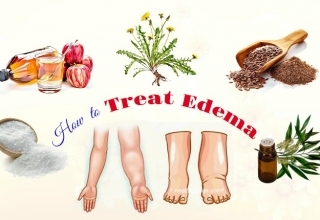 Besides, the vitamin E oil helps treat skin damage thanks to its high content of antioxidants . Mix ½ tbsp. 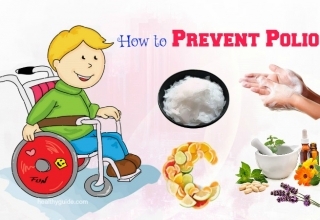 of cornstarch and vitamin E and ¼ tbsp. of baking soda to create a smooth mixture. Repeat this remedy 2-3 times per week. Opt for waxing underarms in lieu of shaving. This is because waxing can lighten your skin tone and simultaneously reduce the development of thick hair in these areas. Maintain your healthy weight because being overweight can cause darkness of the skin. Avoid using hair removal creams because they contain harmful chemicals that are not good for the skin. These home remedies for dark underarms can be used alone or in combination so that you can gain the best results in a short period. If you are not sure about the safety of any ingredients, you should do a patch test before using them. 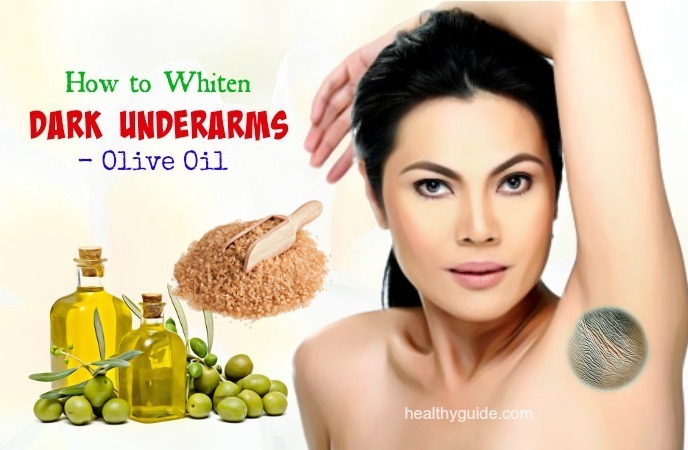 After reading this interesting article, we hope that you can find some of these home remedies helpful when it comes to whitening dark underarm areas. Actually, all of these remedies use natural ingredients, so you do not need to worry about their unwanted side effects. However, to be safe, you can consult your doctor or do a patch test before using them at home. Finally, if you know other great ways on how to whiten dark underarms, you remember to share them with other readers by leaving your comments below.